It’s a common question for America’s heat insecure when facing the approaching winter and increasing energy bills. The burden of high energy costs weighs heavily on those least able to afford it. LIHEAP Crisis funds – Heat Smart kits are an approved expenditure for these funds to help those in crisis. Assurance 16 funds – This provision gives LIHEAP grantees the option of spending five percent of their LIHEAP funds on services that encourage and enable households to reduce their home energy needs and thereby the need for energy assistance. Grants – Many charitable foundations include heat assistance or reducing energy dependence as part of their mission. And if writing grant applications isn’t your strong suit, we can connect you with a qualified grant writer who can help. Weatherization Programs – Because Heat Smart kits include weather-stripping to reduce drafts and energy use, these programs align with our mission. Corporate Gifts/PR budgets – Many businesses have a charitable giving division you can partner with for funding to reach more families. 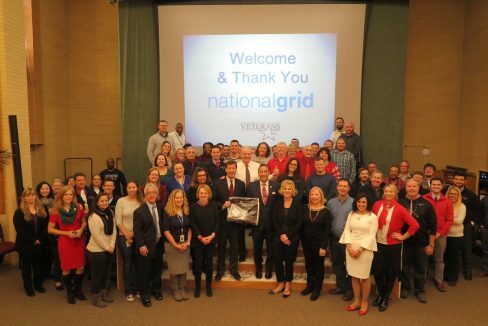 In fact, we work with National Grid’s Customer Care Outreach Team to get Heat Smart kits to returning veterans struggling to set up households. We hope these ideas get your brainstorming juices going and provide new ideas for your program or organization. We’ll be at several industry trade shows this fall, including the CAP Annual Convention in Denver, CO; the NASCP Annual Training Conference in Bellevue, WA; and the NAHRO National Conference & Expo in Atlanta, GA; so, stop by and see us. We’d be happy to discuss ideas on how we can all work together to reach more families in need. If you’ve never struggled to pay your heat or electricity bill, chances are the idea of energy poverty feels like an abstract. So what is it, exactly? Home energy and housing experts define energy poverty as when energy costs for heat and light are more than 6% of household income, others say more than 10% is the baseline. Yet studies show much of the country’s poor are paying 25% of their income for heat and light – and in some extreme examples, closer to 75%, as reported by InsideEnergy.org. Data from the Department of Health and Human Services suggests people below 50 percent of the poverty level spend roughly 35 percent of their income on home energy bills. Studies have shown energy poverty follows overall income disparity: the poorest neighborhoods are the most affected throughout the country. Energy poverty is another example of “the high cost of being poor.” Renters who pay for their own heat have no control to improve their situation if the landlord or owner is not motivated to improve efficiency. Renters are also more likely to live in draftier homes because they cannot pay for better insulation and newer windows themselves. In addition, rental units often have older, less efficient appliances. There has been progress to relieve energy poverty but it’s slow going and not enough. The federal Low Income Home Energy Assistance Program (LIHEAP) delivered over $3 billion of relief in 2015, but funds only reached 22% of families who need assistance. Heat Smart aligns with organizations such as Energy Out West (EOW), the National Energy and Utility Affordability Coalition (NEUAC) and the National American Indian Housing Council (NAIHC) to raise awareness about the issue, advance weatherization and conservation projects, and work toward solutions. We’ll be at all their conferences this spring, and we won’t stop until every home is a warm, healthy and safe one. If you’re going, stop by and see how we can work together to make our shared goals a reality. 2018 Vet program: double the impact! Last winter we worked with Veterans Inc. and National Grid’s Customer Care Outreach Team to help returning veterans as they re-established households stateside. Together we were able get 778 Heat Smart kits to veterans to help them keep warm and save on their energy bills. With such a wonderful result we couldn’t wait to do it again this winter. 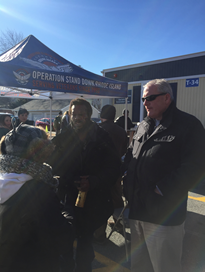 We teamed up with National Grid and the PUC of RI and doubled our impact: 1000 kits went to Veterans Inc. in Shrewsbury, MA, and just under 500 went to Operation Stand Down Rhode Island Veterans event. The program is called “Because they kept us safe, let’s keep them warm” and we’d also call it a giant success. Our thanks to all who worked so hard to make it happen. This coming year, we’re focusing on developing even more beneficial partnerships with incredible organizations so we can help America’s heat insecure. In addition to utilities and veteran’s groups, we work with community action agencies, American Indian health and welfare groups, and government heat assistance programs. In addition, we also work directly with many kinds of nonprofits – in fact we’re already successfully working with Rebuilding Together. We’d like to welcome you to this group of smart people making smart decisions. 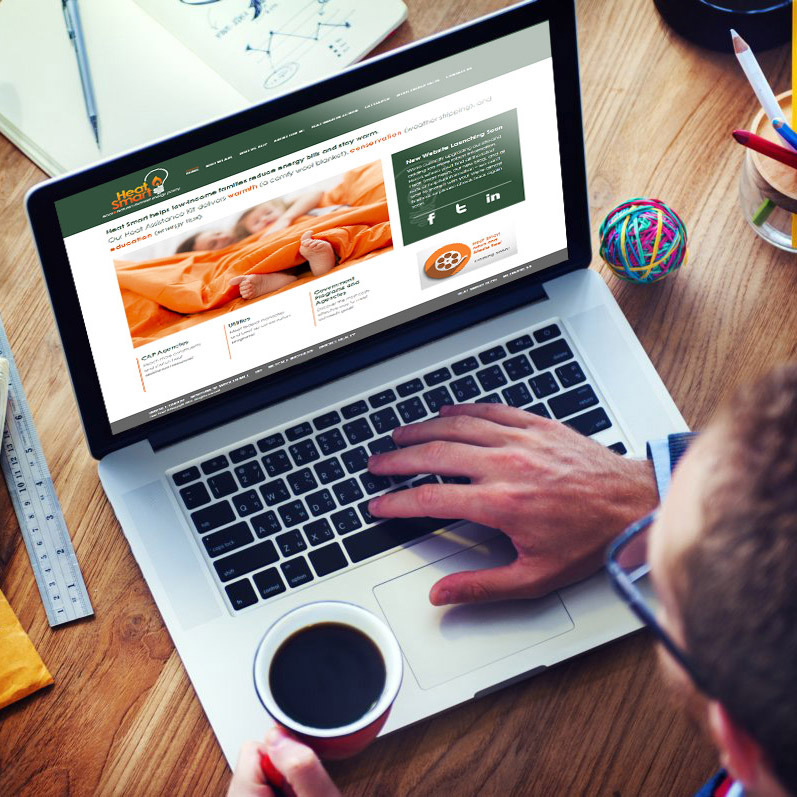 Come on in out of the cold and let us develop a custom partnership with you to meet your heat assistance goals and improve the well-being of your community. Cost-effective Heat Smart kits have helped countless agencies and programs like yours save money and reach more constituents. If you would like more detail, please email or call our President, Donna Montaquila at 800-848-9665, x 250. She’d be happy to discuss the program with you. Or catch up with us at any of the industry conferences this season: AESP in February in New Orleans, NCAF in March in Washington, D.C., or HPC in April in Philadelphia.